Life-Line Catapult (7352) is one of the tougher Action Packs to find sealed, perhaps because the dart gun aspect of the set was irresistible to kids. The pack can be found with and without a clear sighting window on the top console. This lines up the periscope sight so Joe knows where he is aiming the daisy-like grappling hook shot by the gun. The Catapult was also available as part of the elusive Sears Danger Alert two-pack. 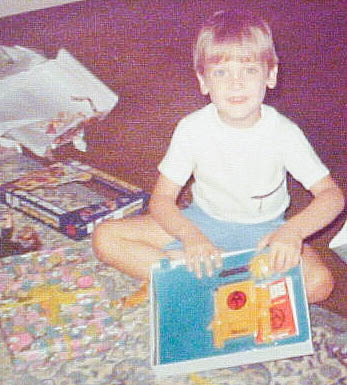 Here I am destroying the original packaging for this set on my sixth birthday.